Ok, I don’t know about you, but I simply can’t get enough of these ammonite fossils! I mean, they come in all shapes and sizes, and to make things even flashier… they even come in all colors! 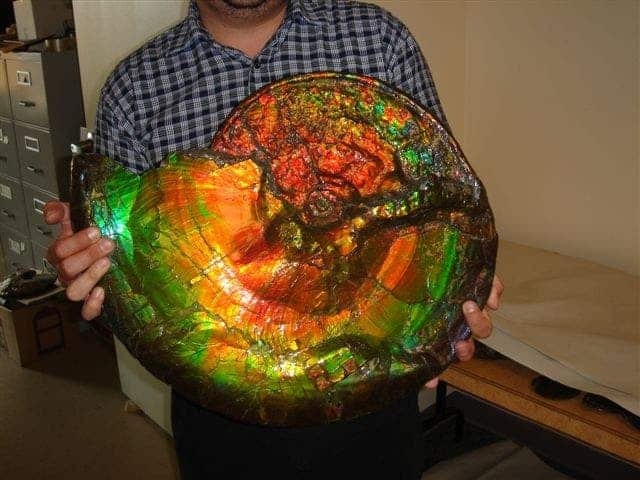 Opal is a hydrated amorphous form of silica, so the process of opalisation refers to something turning into an opal – like for example, a big part of this fossil. 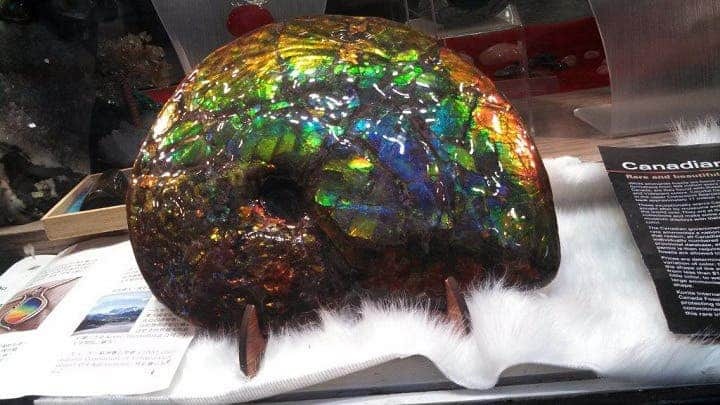 Unfortunately, this extraordinary fossil valued at $500.000 was stolen from Vancouver, and was not recovered since, to my knowledge. Personally, I feel that such fossils should be kept in museums, not in personal collections – especially not thieves’.